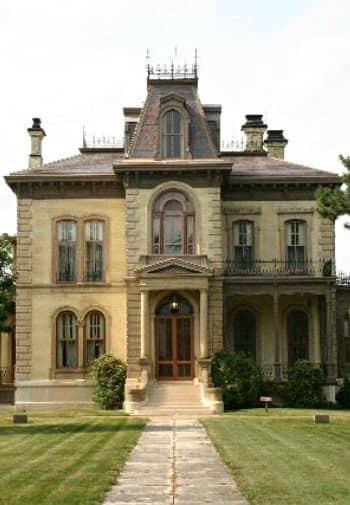 The Vrooman Mansion, nestled in the residential neighborhood of Dimmitt’s Grove, is very close to many diverse places that you can see and explore in Bloomington, Illinois. You’re guaranteed to find something to do if you can pull yourself from the quiet relaxing atmosphere of the mansion! Stroll through historic Dimmitt’s Grove on a self-guided walking tour to downtown Enjoy the Farmer’s Market on a sunny Saturday morning in the summer, or view one of the many rotating exhibits at the McLean County Museum of History on the square. Consider a casual and delicious lunch at Kelly’s Bakery & Cafe or an afternoon pick-me-up at the Coffee Hound. Plan an excursion to one of the local wineries. Bring back a bottle of wine and have a relaxing evening sitting on the side porch. Relive the area’s rich history by taking a tour through the David Davis Mansion and learn about Sarah Davis, one of Julia’s social rivals. 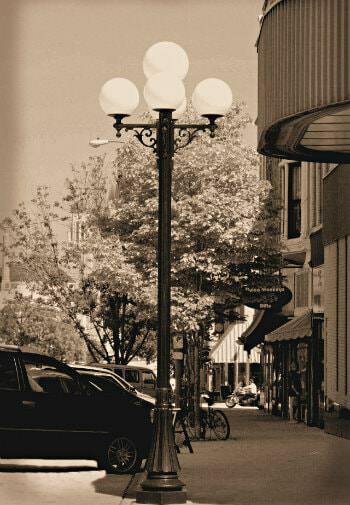 Take the ‘Searching for Lincoln’ audio walking tour around the historic downtown. Go biking, jogging, cross-country skiing, or walking down our award-winning Constitution Trail. Be sure to stop and rest at historic Franklin Park. Spend the day antiquing in downtown Bloomington: check out A. Gridley Antiques, Par’s Rug Warehouse, or Main Street Treasures. Stay and enjoy a scrumptious farm-to-fork dinner at Epiphany Farm Restaurant or Anju Above, or share tapas-style small plates at Reality Bites. Remember your childhood: spend some time with the monkeys and wallabies at Miller Park Zoo. Ride the paddle boats and go for ice cream at Gene’s Dairy Delight or Carl’s Ice Cream, both locally-owned businesses. Take a road trip for the day to Springfield (only an hour away) to see the amazing Lincoln Museum. Visit the Dana Thomas House and enjoy lunch or dinner at Maldaner’s or Augie’s Front Burner. 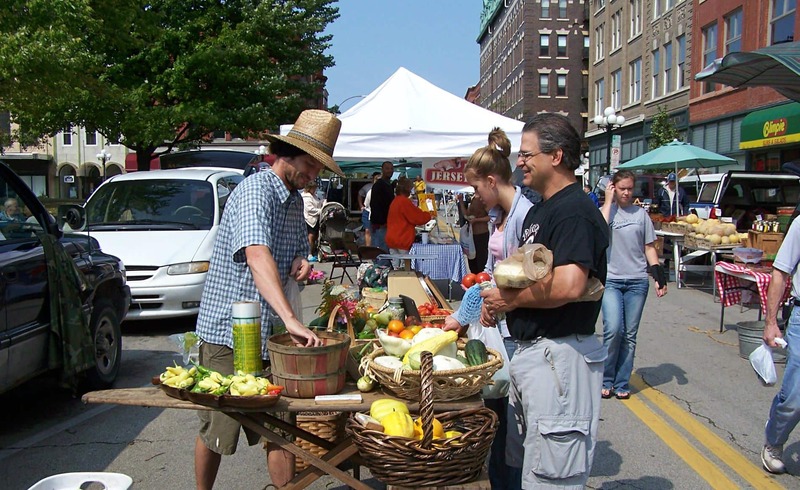 Make an excursion to the Third Sunday Market for that great deal or for something special you can’t pass up. Enjoy a picnic at Ewing Manor before an evening at the Shakespeare Festival, or have pizza at the iconic Lucca Grill before a concert or sporting event at the Coliseum. Or perhaps an evening of laughing or listening at an event at the Historic Bloomington Center of Performing Arts? Go rock climbing any time of the year at Upper Limits — the nation’s tallest indoor climbing gym — and return to your room for a long soak in the tub or an in-room massage. The Shakespeare Theatre and the Vrooman Mansion – Great Combination. An annual event for us.